“Marketing on the move!” Design Dynamics produces attention grabbing vehicle and fleet graphics that are one of the most cost-effective forms of out-of-home advertising. According to Arbitron Studies 75% of people develop an impression of a company and its product by its vehicles and 30% of people would base a buying decision by the graphics they see on a vehicle. 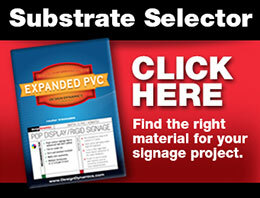 Transit graphics provides a dynamic medium that will help you stand out from the crowd. Buses, vehicles, fleet, truck, subway, train, and other mobile media offers unique branding opportunities. In addition, transit mediums such as street furniture, taxi tops, shelters and other spaces extend the reach of the message. Design Dynamics provides digital printing solutions for all of these applications and more on a variety of approved media with complete finishing and lamination to meet client standards.